European Parliament Demands Legal Scrutiny of CETA’s ‘Corporate Court’ System. Nothing Green about CETA! A group of 89 MEPs have tabled a motion that the proposed Investor Court System (ICS) in CETA, the EU Canada trade deal, should be subjected to full and proper legal scrutiny by the European Court of Justice before coming into force. The ICS would enable corporations to sue participating governments for passing laws or regulations that could harm their profits, for example by imposing new restrictions on pesticides, or raising labour standards. The 89 ‘rebel’ MEPs say the controversial provisions need to be scrutinised to ensure that they are compatible with existing EU treaties and laws. But parliamentary leaders are attempting to block their initiative. In their latest move, the European Parliament’s Committee of Presidents have pushed forward the vote on the motion to Wednesday 23rd November, and are refusing to allow any debate about it to take place in parliament. It’s also been reported that the some of the MEPs who tabled the motion have been ordered by party leaders to remove their names from it. “The system of secret, corporate courts proposed within the CETA trade treaty represents a massive power grab and it is particularly shocking that our democratic representatives at Westminster are being prevented from debating or voting on this trade treaty”, said Molly Scott Cato, Green MEP for South West England and Gibraltar, one of those who tabled the motion. Under a comparable treaty, Canada has been sued 26 times, mostly for trying to introducing better environmental regulation. Billions of dollars are currently sought from Canada. In many ways, CETA gives corporations even clearer powers to sue. Canadian corporations have launched 42 cases against other governments, primarily by extractive firms, and currently have $20 billion in outstanding claims against governments including the US. 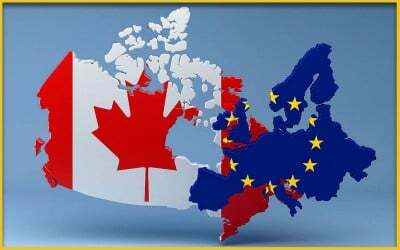 European states also risk being sued by thousands of the biggest US multinationals through their subsidiaries in Canada. Meanwhile a new study by green group Transport & Environment (T&E) and the legal NGO ClientEarth points out that CETA’s ‘environment chapter’ – unlike the ICS provisions – is not legally binding on Europe and Canada. Moreover there are no enforcement mechanisms for its already-weak provisions. She added that the ‘regulatory cooperation’ section focuses on trade barriers alone and not improving social and environmental policy, according to the analysis. As such, if a country attempts to raise the level of environmental regulation, it could be subjet to legal action trade grounds by a country that has chosen not to cooperate, Toubeau explained. The report also slams CETA’s ICS provisions because it would “only hear cases brought by corporations, not by citizens or their governments”. As an example of its detrimental effect, it cites the possibility that measures such as policies favouring renewable energy or laws to decarbonise transport fuel could create emormous liabilities to corporate litigants. “The fact that political leaders in the EU are trying to prevent that from taking place shows how desperate they are to inflict this toxic trade deal on the people of Europe”, said Guy Taylor, trade campaigner at Global Justice Now and a prominent critic of CETA and other ‘free trade’ deals. “It’s an underhand move that is sadly entirely in tune with the lack of transparency, accountability and democratic process that has characterised these negotiations. This is not democracy, this is politicians pushing toxic trade deals through at breakneck speed with no debate and at great risk to our legal systems. We need all our MEPs to support the very sensible demand that the corporate court system should be scrutinized by legal experts.